Jane Pauley has been a familiar face on TV for more than thirty years. 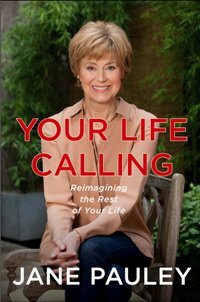 She served as cohost of Today from 1976 to 1989, anchored Dateline NBC for eleven years, and in 2004 became the host of her own daytime program, The Jane Pauley Show. Her memoir, Skywriting: A Life Out of the Blue, was a New York Times bestseller and her latest book, Your Life Calling: Reimagining the Rest of Your Life (January 2014), is based on her award-winning Today show segment, “Your Life Calling.” She lives with her husband, “Doonesbury” cartoonist Garry Trudeau, in New York City. PLA thanks Simon and Schuster for its support of this event.